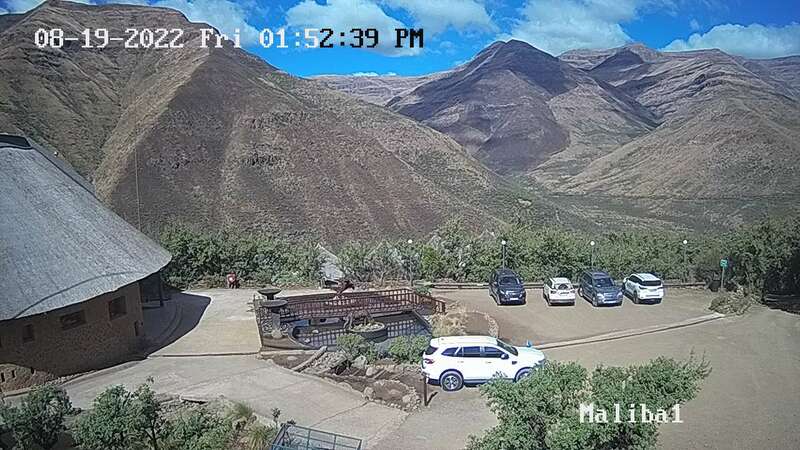 This webcam is hosted at the Maliba Mountain Lodge, a luxurious Lesotho accommodation located in the heart of the Mountain Kingdom of Lesotho, Southern Africa. Maliba is situated within Tsehlanyane National Park, and has both luxury and self catering lodges which are all the perfect holiday destination for families, groups of friends, and couples. The lodge offers various activities such as hiking, horse riding, cultural tours / community visits, 4x4 adventures, and other nearby attractions. Please note that the webcam does have intermittent technical problems.